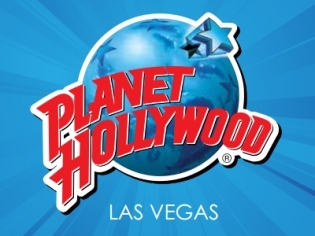 Celebrity memorabilia covers the walls at Planet Hollywood and makes for a fun time perusing the props and pictures that surround you. Definitely a fun, family-friendly location! The menu covers all the basics, from burgers and wings to steak and pasta. Celebrity memorabilia covers the walls at Planet Hollywood and makes for a fun time perusing the props and pictures that surround you. Definitely a fun, family-friendly location! The menu covers all the basics, from burgers and wings to steak and pasta. The bar offers fun cocktails named after movies like “The Terminator.” Step into Planet Hollywood for a meal and come out with a full entertainment experience. Sneak-peeks play on the big screens and you can even ask to sit in the Sci-Fi Room. The crunchy chicken appetizer is a favorite, and ask to sit on the patio if you want to people watch. Asked 2 times for a refill on a drink, never got one! had to ask twice for bill, food was very slow to get and no flavor. Expected a lot more for $60.